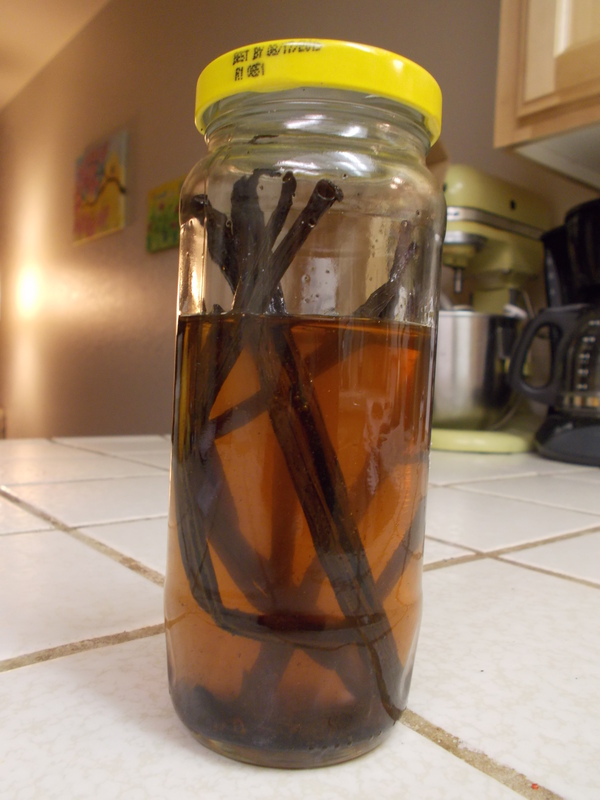 Another completely random project: homemade vanilla extract. The dishes aren’t done, laundry is piling up–but at least I made something I could have run out to the store to buy, right? 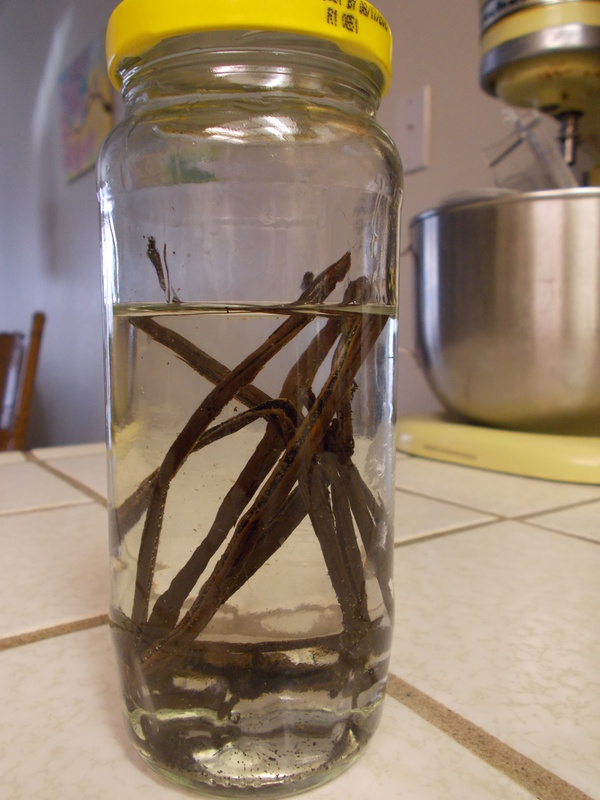 I followed (mostly) the directions here. 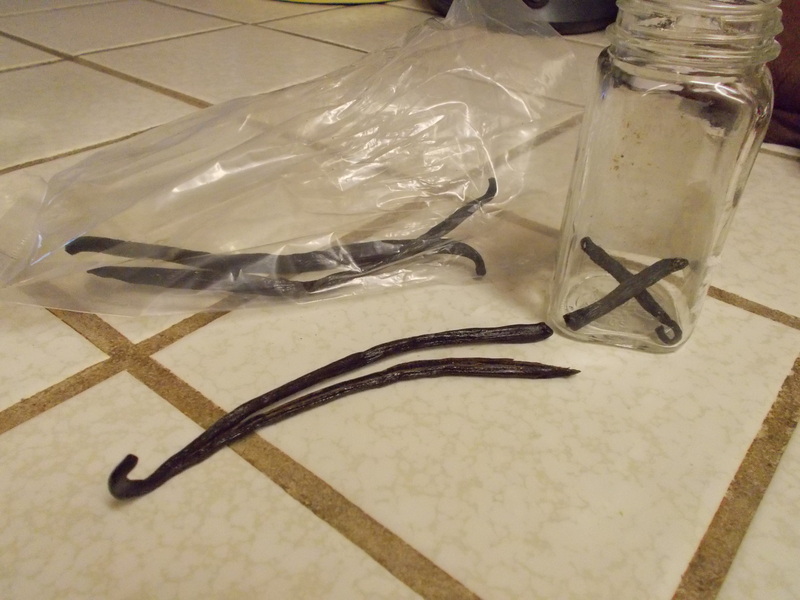 I neglected to check on the origin of my vanilla beans when I was at the store, so I’ll do that next time. This entry was posted in Life Stuff and tagged Is It Procrastination If Something Else Is Being Accomplished?, My Life Will Someday Be a Mind-Blowing Memoir by Rommie. Bookmark the permalink.